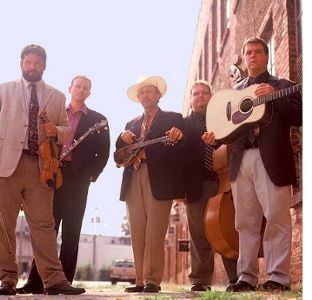 Hiltons, VA -- Carrying on an old Alabama family tradition, David Davis and the Warrior River Boys offer audiences an opportunity to see a musician who has carried on his family’s musical heritage dating back to the 1930s. Warrior River frontman mandolinist David Davis nurtures his roots with integrity, tonal depth, and prose. Directly linked to the origins of bluegrass music, David Davis’ love of bluegrass grew organically. Back in the 30s, his father and two uncles played and sung in the brother style traditions of early country music. Uncle Cleo joined The Father of Bluegrass Music, Bill Monroe, as the very first Blue Grass Boy in 1938. David’s father went off to WW II and lost his right hand in a mortar accident. While his Dad’s dream of making music may have been shattered, he never lost his love and devotion to the music. It was a devotion he passed down to David who would carry his father’s love of bluegrass with him always. 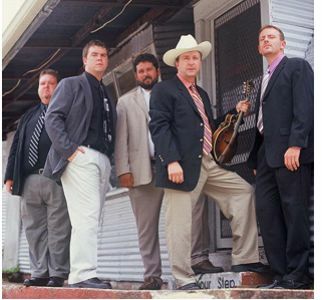 Saturday, June 30, 2012, at 7:30 p.m. the Carter Family Fold in Hiltons, Virginia, will present a concert of bluegrass music by the Warrior River Boys. Admission to the concert is $7 for adults, $1 for children 6 to 11, under age 6 free.